On November 26th, Buddy Valastro will be interviewed on the live CatholicTV talk show “This is the Day”. Buddy is a nationally-known master baker who stars in his own reality cooking show on The Learning Channel (TLC). 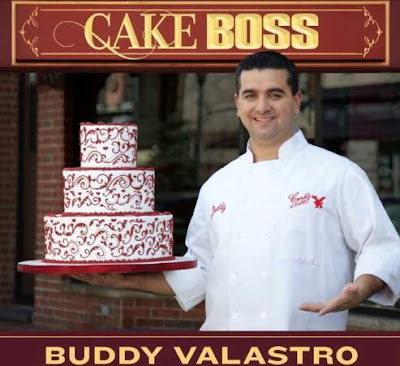 His bake shop, “Carlo’s Bake Shop” has been featured in books, newspapers such as The New York Times, and television; most namely The Food Network. He and his cakes have also been featured on The Today Show, Good Morning America, The View, and more. This is the Day airs at 10:30AM ET at CatholicTV.com and on CatholicTV cable outlets. The show is rebroadcast at 7:30PM and other times during the week. Buddy Valastro is often asked to demonstrate, compete, and teach his craft around the country. In his 10,000 sq foot state of the art facility, Buddy and his staff turn out thousands of wedding cakes, specialty cakes, and pastries weekly. His award-winning designs have been featured numerous times in different bridal and baking magazines.